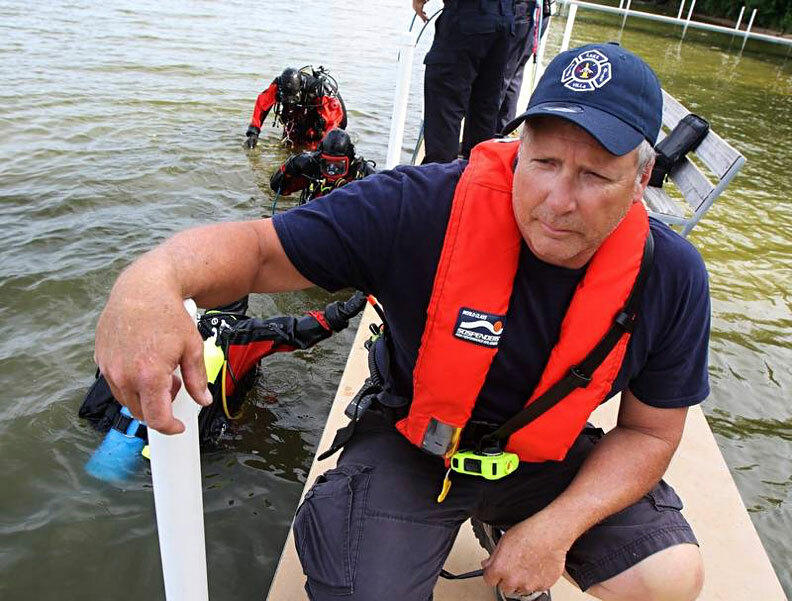 Editor’s note: The rescue of the youth soccer team trapped in a cave in Thailand captured the world’s attention last week, so we asked Lake Villa Fire Protection District Lt. Glen Heitman to tell us about public safety diving and its risks. 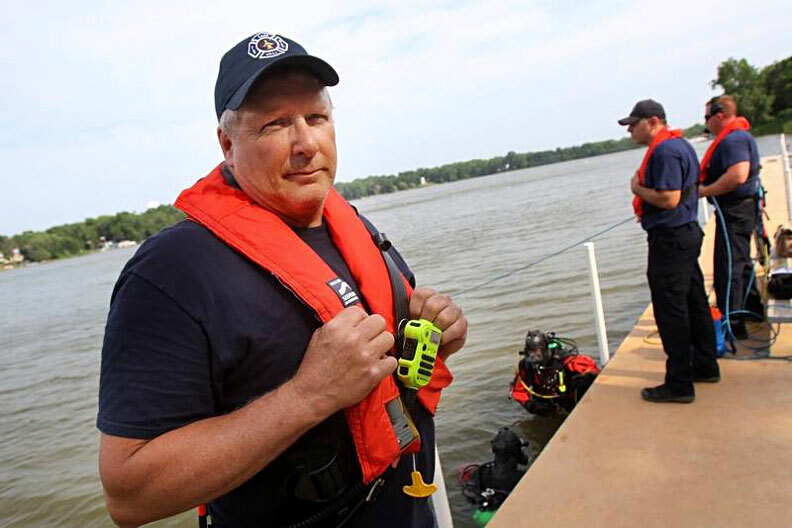 Heitman has been a public safety diver for 25 years. He also serves as the dive team leader and as a certified instructor. He has logged more than 1,000 dives, including technical dives on Great Lakes shipwrecks, public safety dives, recreational dives and dives certifying new divers. While it is true there are some similarities between recreational diving and public safety diving, such as the physics and physiology of breathing compressed gas under pressure (water) and the basic gear, there are differences that make public safety diving inherently more dangerous. The underwater environment we dive in, such as limited to no visibility, entanglement hazards, thermal concerns, contaminated water, overhead environments, and emotional and physical stress are a few of the many hazards a public safety diver deals with on most, if not all, dives. The majority of PSD dives are conducted as a solo primary diver is tethered via a line to shore or boat, where a line tender controls his search patterns. There is a safety diver ready to deploy at all times, but it can take minutes for that diver to reach a diver in distress. While a recreational diver gets to pick the location and environmental conditions he or she wants to dive in, emergency dive operations occur in all conditions and at any time. Public safety divers don’t get to pick the time of day, weather or water conditions they dive in. The on-scene dive supervisor will conduct a risk/benefit analysis before starting a dive operation. All known hazards are taken into consideration and weighed against the potential benefits of the dive operation. If the hazards outweigh the benefits, it is considered to be a no-go situation and divers will not be placed in the water. Side Scan or Sector Scan Sonar is used to search. 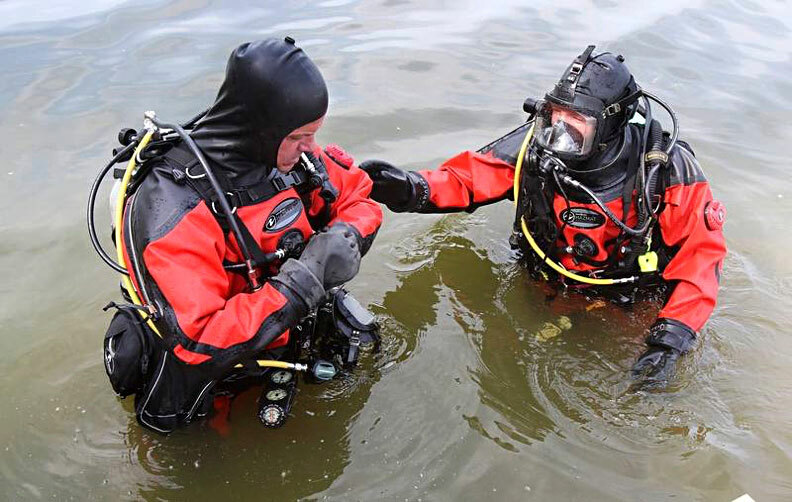 Depending on their area of operation, public safety dive teams have various responsibilities, including but not limited to responding to water rescues, where numerous saves have been documented; recovering victims of drownings; vehicles in the water; boating accidents; people or vehicles falling through the ice; plane crashes; hull inspections or other anti-terrorist activities; evidence recovery; cave recoveries; confined space incidents; and hazardous materials dives. In our general area, most if not all public safety diving is done by fire department dive teams. To be a member, a diver must meet annual training requirements consisting of timed swim tests, skills tests and a minimum of five training dives per year. We are also fortunate to have Side Scan and Sector Scan Sonar units available to help in our searches. Like any emergency call, a water rescue call can occur at any time. I personally have gone from being at home asleep to being underwater in less than 15 minutes. Loading gear, dressing in the back of a moving vehicle and generally being prepared to dive when the vehicle arrives on the scene can lead to a high level of stress for the diver. Public safety diving requires a high level of physical conditioning and mental strength. In our area, divers must wear drysuits with attached hoods, dry gloves, and full face masks to protect them from contaminants that have settled on the bottom, cold water, and waterborne pathogens from drowning victims. Full face masks also provide electronic communication ability, which improves diver safety and search pattern accuracy. While cases of divers being entangled are rare in our area, it is always a concern. Especially when diving in limited to zero visibility. Fishing is a popular pastime and discarded monofilament line and fish hooks present the biggest entanglement hazard. Sunken boats, snowmobiles and other submerged man-made objects, as well as trees and branches, present entanglement concerns. When a diver becomes entangled at or near the end of a dive, a low or out-of-air emergency can result. If the safety diver doesn’t reach an out-of-air diver in time, a diver can become unresponsive and death can be the end result. Some departments require their divers to carry a redundant air source (pony bottle) to help make dives safer. 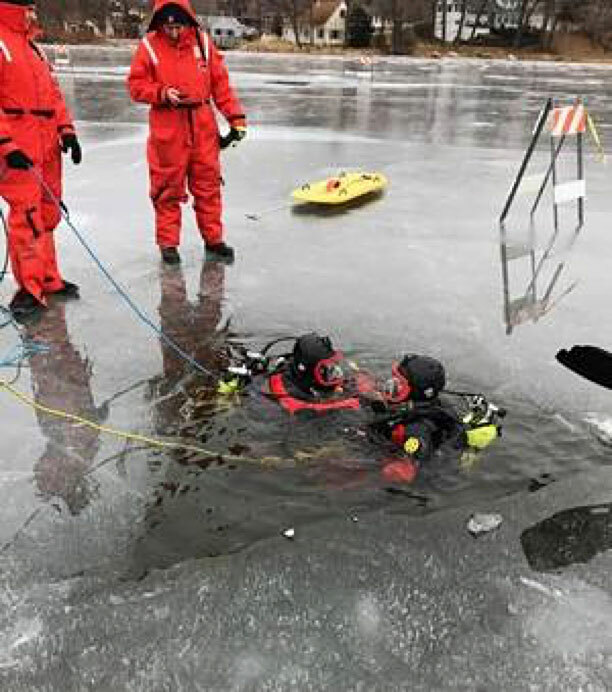 Ice dives also present unique hazards, such as frozen equipment, regulator free flows, lost tether line and hyperthermia for divers and support personnel. When a diver experiences an emergency under the ice, he cannot make a direct ascent to the surface; he must first make his way back to the hole he entered through. All ice dives are conducted with the diver being tethered via line and locking carabiner to the ice surface and a line tender. A tender who is aware of his diver’s condition at all times may notice a problem and pull the diver out before the diver goes unconscious. A few years ago, while conducting a training dive under the ice, a diver went unresponsive. An alert line tender retrieved the diver and CPR was required before the diver was taken to the hospital. Due to a diligent line tender and immediate medical intervention, the diver survived. Public safety diving can be dangerous and line-of-duty deaths occur through the country far too often. 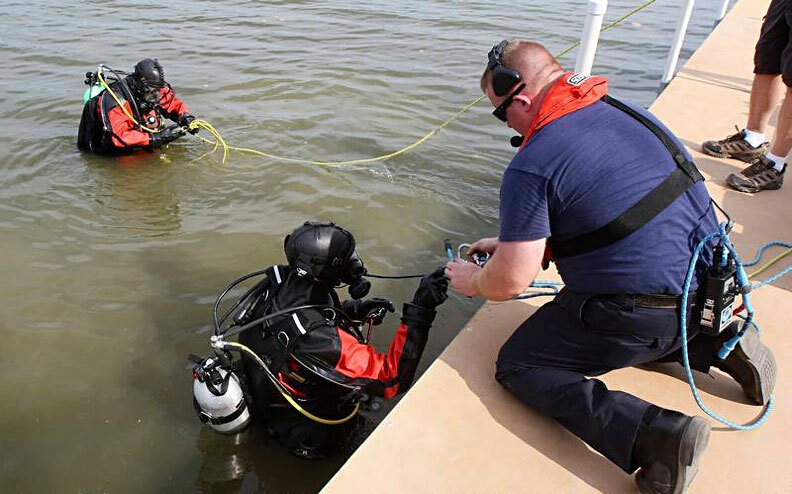 Through stringent training standards, improvements in dive equipment, implementation of thoroughly thought-out standard operating guidelines and response protocols, public safety dives teams everywhere are constantly working to make emergency response diving safer.